Also serving communities of Fuquay Varina. There are 13 Memory Care Facilities in the Apex area, with 2 in Apex and 11 nearby. The average cost of memory care in Apex is $6,000 per month. This is higher than the national median of $4,650. Cheaper nearby regions include Cary with an average starting cost of $5,409. To help you with your search, browse the 10 reviews below for memory care facilities in Apex. Better rated regions include Cary with an average rating of 4.6 out of 5 stars. Caring.com has helped thousands of families find high-quality senior care. To speak with one of our Family Advisors about memory care options and costs in Apex, call (855) 863-8283. Apex, North Carolina was so named because it sits at the highest point of the Chatham railroad, but now it exemplifies a different kind of peak: Apex held the number one spot in Money Magazine’s 2015 Best Places to Live list, and this town of 50,451 people has much to offer seniors with Alzheimer’s disease and other types of dementia. There are 17 memory care facilities in and around Apex, with two in the townsite itself and 15 in nearby Cary, Chapel Hill, Fuquay Varina, Durham and Raleigh. 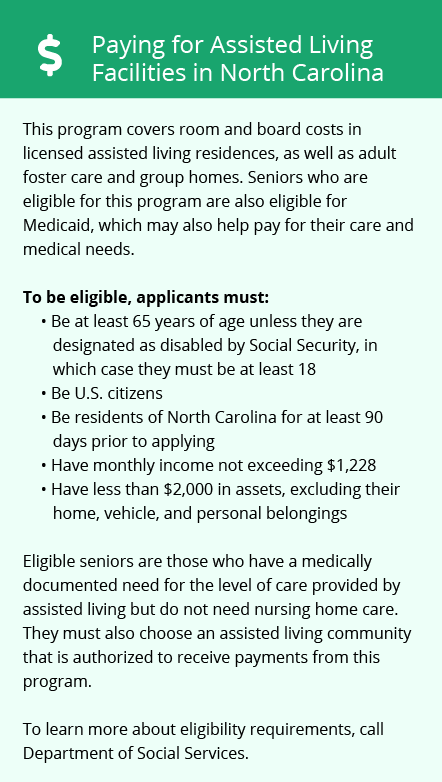 There are two types of memory care facilities in North Carolina, and the Division of Health Service Regulation licenses these residential care settings based on size: family care homes serve two to six residents, and adult care homes serve seven or more residents. Both serve seniors with Alzheimer’s disease and other types of dementia. These residences may provide hospice and home health care services directly or through third-party providers. The cost of living in this Wake County town is somewhat prohibitive, and seniors with limited budgets should factor this into their decision when choosing a memory care facility. Apex’s overall cost of living score is 125, compared to nearby Durham’s rating of 101, which is more in line with the national average. The American Lung Association has given Wake County a passing grade for its air quality. However, it has a "C" grade for its 24-hour particle pollution levels, which may pose problems for seniors with respiratory conditions. Apex is a friendly, close-knit community that enjoys a relatively low crime rate, which can give senior residents and their loved ones peace of mind. Its violent crime rating is 22.9, which is 27 percent lower than the national average, and its property crime rating is 28.6, which is 25 percent lower than the national average. Apex is home to world-class medical facilities, including those specializing in brain health and dementia care such as REX Healthcare of Cary, WakeMed Cary Hospital and the Apex Healthplex in the event of medical emergencies or illness. Memory Care costs in Apex start around $6,000 per month on average, while the nationwide average cost of memory care is $4,799 per month. It’s important to note that memory care rates in Apex and the surrounding suburbs can vary widely based on factors such as location, the level of care needed, apartment size and the types of amenities offered at each community. Apex and the surrounding area are home to numerous government agencies and non-profit organizations offering help for seniors searching for or currently residing in an assisted living community. These organizations can also provide assistance in a number of other eldercare services such as geriatric care management, elder law advice, estate planning, finding home care and health and wellness programs. To see a list of free memory care resources in Apex, please visit our Assisted Living in North Carolina page. 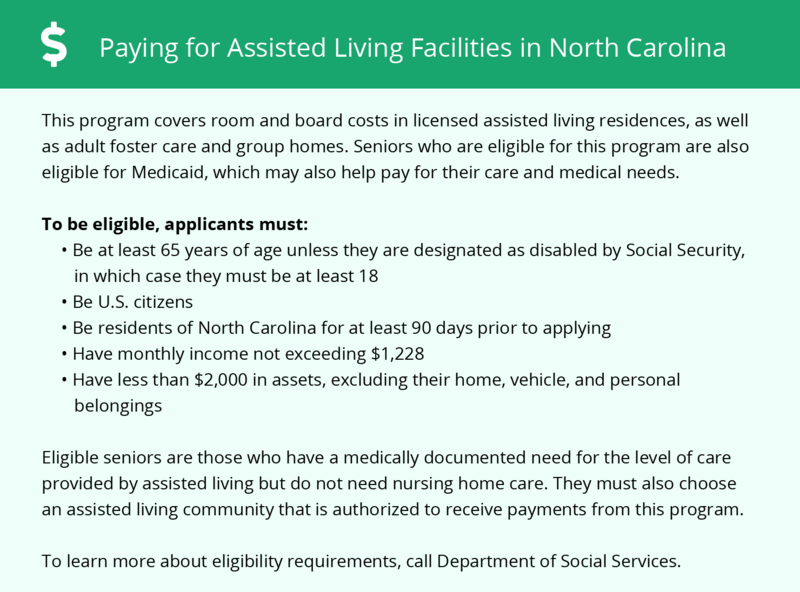 Apex-area assisted living communities must adhere to the comprehensive set of state laws and regulations that all assisted living communities in North Carolina are required to follow. Visit our Memory Care in North Carolina page for more information about these laws.